Why keep replacing when our repairs can save you £ thousands? Our partner repairs all types of diamond knives for us. 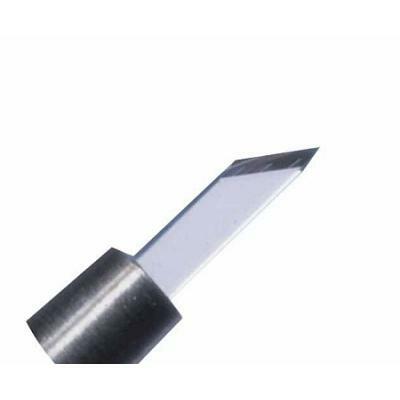 They have also been manufacturing high quality diamond knives since 1976. Their technicians have many years experience in these repairs and have developed specialist grinding machines which enable them to grind a perfect cutting edge. Even under 500x magnification you can see that the cutting edge is still perfect. Each diamond knife that is sent for repair is completely disassembled, the parts ultrasonically cleaned and all damaged parts replaced with high quality compatible parts. Our customers in the UK benefit from the wealth of experience, expertise and capability that our specialist repair partners possess and their capacity to turn around most repairs within 3 to 4 weeks (from the date the repair is authorised), even with volume repairs. Sovereign Surgical are pleased to be able to offer these repairs to our customers at, up to 70% less cost than the manufacturers’ repair prices. Often, manufacturers will not repair these instruments, only offering a service/exchange, or new replacement instead at even higher prices. Our partner also manufactures new, high quality diamond knives at a fraction of the cost of the main manufacturers. 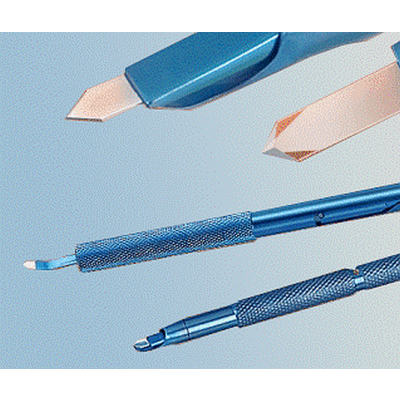 They are the only diamond knife manufacturer which machines all titanium parts in-house. They offer an unbeatable lifetime guarantee on the handles (as long as they are not damaged from improper use). Their knives have cleaning holes which facilitate the cleaning process after surgery. Finally, as they have a large stock of pre-grinded blades they are always able to deliver in a short time. Please contact us at Sovereign for a quotation if you are interested in purchasing a new diamond knife. Sovereign Surgical provide a personal, friendly service and always aim to deal with your enquiries promptly and efficiently.